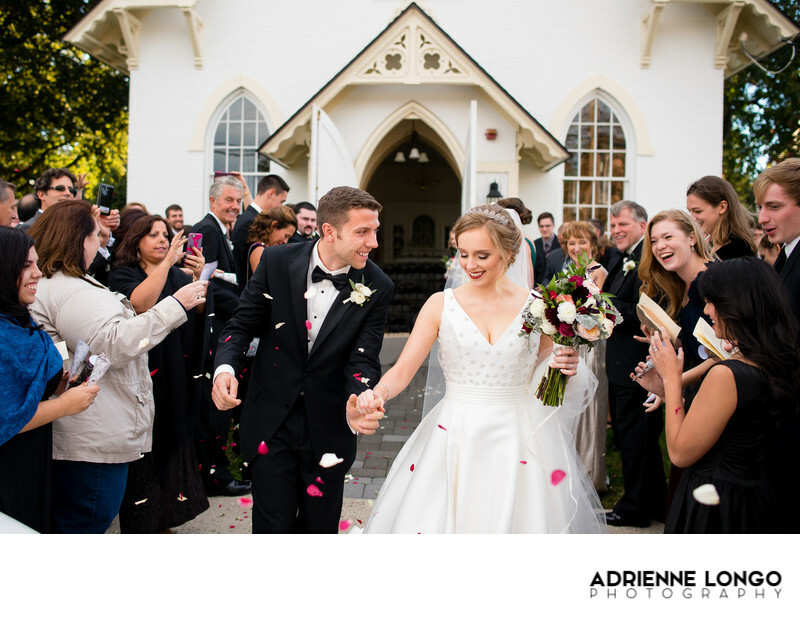 This is such a beautiful and heartfelt moment as the bride and groom exit this adorable wedding chapel. The groom is adoringly looking at his new blushing bride while their friends and family toss rose pedal around them. This is one of my favorite moments from the day as it's totally photojournalistic and real. Location: Bernards Inn, 27 Mine Brook Rd, Bernardsville, NJ 07924.